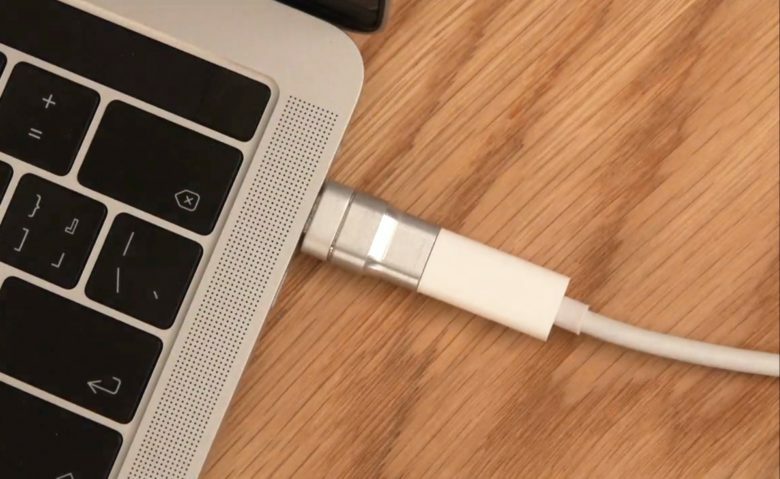 As the name suggests, MagSafe connected data and changing cables to Apple laptops with magnets; no part of the cable was inserted inside the computer. With this design, the connection came apart when someone tripped over a power cable without yanking the MacBook onto the floor. Previous attempts to add this feature to USB-C or Thunderbolt 3 cables and ports ran into limitations in bandwidth. Some have not even attempted to transmit data, just power. ThunderMag launched today on KickStarter. If innerexile‘s project is funded, these accessories will cost $79. Lower prices are available now for those willing to take the risk of funding the development.